– Guys, I propose to study the methodology of project management, described in the PMBOK, and also PM cloud tools through a real project. While study you will have to risk your health, family relationships and deadlines of your work projects, – I said. The four (Sasha, Kolya, Yura and Ira) said “yes” and we started. In the room there were people who had many executed projects in different fields under the belt – in banking, building, logistic, production, consulting, IT. Moreover, two of them already had the PMP certificate and another one was preparing to certification. As a first step we have recollected the project management theory. We’ve found the PMBOK course presentation and appointed Sashа to be our lecturer. Не was preparing to PMP testing those days and had the freshest knowledge compared to us. And of course it’s useful not only to read the materials before exams but also to retell it. So we listened to, elaborated, put questions and answered, interrupting each other. Great! We’ve refreshed the theory. And now attention! 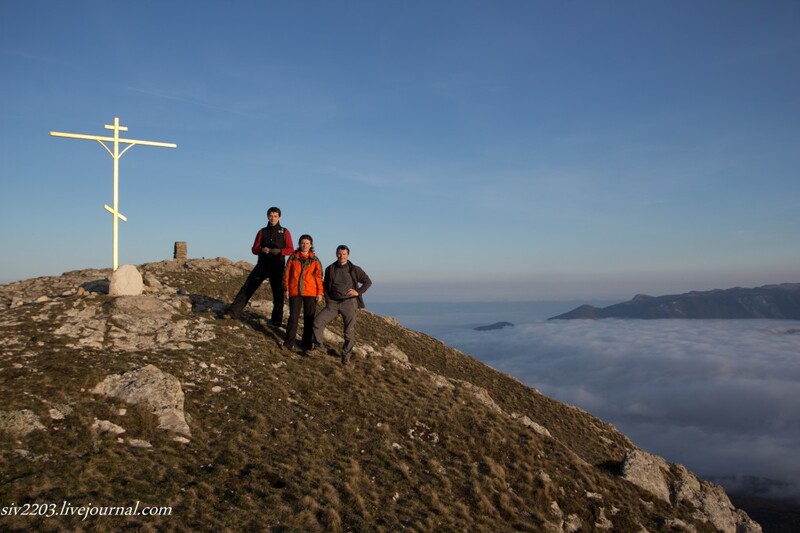 The project mission is to climb one of two two-thousanders of the Ukrainian Carpathians. A pause… Who has got off? Nobody, everyone is still here! So we have 4 possibilities: Hoverla (2061 m), Brebeneskul (2035 m, and there is two a bit lower two-thousanders – Hutin Tomnatik and Rebra – next to it), Pop Ivan Chernogorsky (2021 m) and Petros (2020 m). After a micro-discussion we have chosen Petros on all hands. Each participant was responsible for one document, but the primary elaboration we did together. To enjoy healthy and active life. To climb up Petros (elevation – 2,020 m). Criterion – picture of the benchmark or picture with GPS-coordinates and altitude indicator. To find crocuses if they are on our way (within 300 m radius of the route). Criterion – picture of one of the project participants with crocuses. Video clip on the results of the expedition. Criterion – video of 3-5 minutes duration. A finalized project documentation. Criterion – project documents collected in PDF format and approved via email by all project participants. 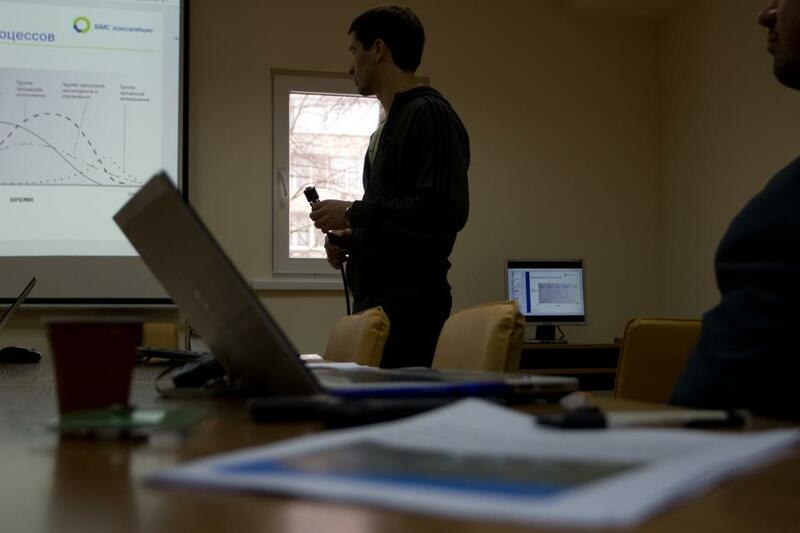 To pass the exam on the Project Integration on www.pmdoc.ru. Criterion – 61% of correct answers. To give praise to the gods of project management by eating a sheep and washing it down with wine. Criterion – remains of the sheep + empty glasses. to use cloud solutions as tools. The total budget should not exceed UAH 1500 per 1 participant, excluding the acquisition of personal equipment. Climbing the selected mount should be carried out on Saturday. Participants availability in view of job and home duties. Weather conditions which may interfere the climb. Household, family and work cares which may keep from participation in the expedition. Participants’ state of health which may keep from climbing. The team has verbally confirmed the project success. The third document was the Project Schedule. We decided not to stew our brain and not to waste time on MS Project Server creation and used well-established cloud-based project management system Smartsheet Project Management due to its user-friendly interface, possibility of collaborative work, connection from anywhere in the world and absence of additional applications – we could use it via browser. Everyone got the access. Kolya was assigned as a project administrator. He immediately transferred the diagram into the WBS-structure and began to fill it in. As the ideas about we had to do before climbing occurred all the time, so the diagram was filling in within whole Kickoff Meeting. Two remaining documents – Procurement Management Plan and Communications Management Plan – we have just discussed and decided not to fill out. I was responsible for “procurements” and Yura – for “communications”. We were so enthusiastic so we even have bought the tickets to Ivano-Frankivsk and back via Ukrzaliznytsia web-site without leaving the office. Yura planned to go from Odessa and others – from Kiev. Generally we have worked fruitful and finished our meeting with a great mood and anticipation of an interesting project and climbing. Sasha organized the group in Skype, so you could conduct video conferences. The invitations to the call-conference were sent via Google Calendar. Every 3-4 days in the evening we connected for half an hour and fixed the progress of project development. If someone put the brakes on preparation, he or she got an electronic-kick. Between the call-conferences, according to plan and at off-laze time we performed the project tasks, noted the execution in Smartsheet, updated documents on Google Drive, selected the missing equipment, searched information for transfer from Ivano-Frankivsk to Kvasy and accommodation, handled procurement, found the information about search and rescue service, forestry areas, transport, connections. 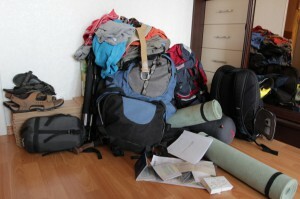 In general, we prepared for the expedition in every possible way. The Procurement Management Plan, given in the PMBOK, didn’t suit our needs, so we replaced it by Excel table. And in such an unhasting way we got to the first major milestone of the project – Go/No-Go Decision. It’s a critical decision point when you think whether to go on with a project or to make a pause in its execution or may be abandon the project and stop its execution at all. From a psychological point of view it is the culmination of the project. The case is that even presentation of the project result doesn’t cause so strong emotions as the taking responsibility for the decision to move on or not, when the lives or health of other people depend on this decision. And exactly such a moment came in our project. Who could know that snow showers and hurricane wind would occur within the most of Ukraine at spring equinox, on March 22, 2013? According to Hydrometeorological Centre of Ukraine, 60 mm of precipitation has fallen in Kyiv within three days (March 22-24), about 55 mm – in the northern regions of Ukraine, and 35 mm – in the western regions. There was nothing of the kind over whole 132-year history of the meteorological observations. We’ve faced with the classical risk – very dangerous and theoretically impossible. Participants of our training had a stroke of luck! It’s a great success and an incredible experience to face such situation in the educational project. There is one of the most important recommendations for risk identification in the project management: prohibition against criticism of the ideas. It’s implemented in order to consider even improbable and fantastic risks and put them on the Risk Register. That’s why we have discussed a variety of risks, but none of us could imagine, that risks would grow to the level which would keep us from meeting the most important requirement of our Project Charter – “to return home fine and happy”. According to information from the Carpathians Search and Rescue Service – Petros and Goverla mountains were closed for tourists. There were a lot of snow in the mountains and the period was avalanche-hazardous. Besides that the warming was coming. Of course, we could go but at our own risk. In addition, we had to warn the rescuers by phone in advance but keep out of their sight; otherwise they would make us go back. 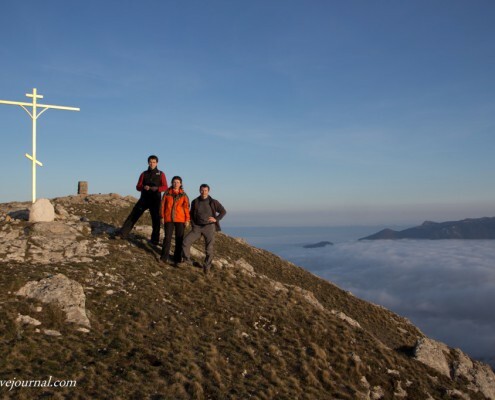 change the project content and climb the lower and warmer summit, for example, Chatyr-Dag in the Crimea (1527 m). worsen the project quality. For example, we could get to Kvasy settlement but don’t climb Petros. We could eat and drink the sheep and wine without climbing. change the schedule and make the climb in May or June. change the budget and get to the summit by other way, for example, by helicopter. collect more resources so even one of us could go back alive (: . By a majority of votes we have chosen the first variant. Well we are going to the Crimea! And 500 m difference in Chatyr-Dag elevation we will compensate in summer when we climb on Bulgarian Musala. Its elevation is 2925 meters and this is 425 m higher than we need for the second peak. However, during this Go/No-Go Decision stage we have lost two fighters. Under a specious excuse of absence of tickets from Odessa to Simferopol, Yura has neutralized his wife indignation due to his “leisured” study of the project management and refused to go. Kolya, who has a part of healthy fatalism in his world perception, has blown off the expedition, referred to a lack of money for excess fare for the tickets. So it remained three of us and we started our travel. Five minutes before the train departure we ran into the carriage, honestly telling Sasha that we have never done like this, that we always prepared in advance and in general we were very punctual! And we went to the Crimea! Sasha slept in the next compartment; his neighbors were big bellied men. They wanted him to drink with them, but Sasha got out, proposing his place in compartment to one of the blimps. After than they leave him off. But they snored notably at night! The morning was sunny and cheerful. Ira got up off her shelf in compartment and said:- Oh, I had a pain here in the hand all the night – showing on the wrist, and I answered:- And I had a pain in my leg just in the same place. I’m sure, climbing will be successful! We arrived to Simferopol soon after 10 a.m. First of all we dropped into “Vertical” store to buy a map and check with rescue service. We’ve bought the map but couldn’t check with rescuers, because we had to emailed them about out expedition in advance and only after that to check in the store. That’s nonsense! But we have bought a miracle JetBoil mug! We got into a shuttle bus and went towards mountain pass – to the touristic station Sosnovka- there was the start point of our climbing route. We were absolutely right when decided to go to the Crimea instead Carpathians. Sunny weather, birds, flowers – perfect! And as a counter, there were snow, rain and fog at Goverla those days. Yech! Having started from Sosnovka about 12 p.m. noon, we’ve got to the lower plateau of Chatyr-Dag by 2 p.m. We weren’t in rush, slowly moved through the cloud, met with the local tourists who hiked about the locality, collected garbage and wild garlic. We also collected some garlic with a pleasure – natural vitamins after all! Soon after 3 p.m. we got to the touristic station Tochka. We felt hungry (it’s due to appetizing savor of the garlic), so we had some instant soup with garlic and sandwiches with paste and follow it with tea. I picked up the iron mug and noticed that a napkin had stuck to it and didn’t drop off.- Ha! Did you see that? I’m a shaman! Even gravity can’t stop me! Sasha took his mug from the table. There was nothing under it so correspondingly nothing stuck to it:- I have nothing…- Did you really expect to raise a table? Having eaten and laughed, we went to the allocated room (UAH 75 apiece), left our things there and moved our boots to conquer upper Chatyr-Dag. There were the spring flowers across the plateau. Among other objectives of our project there was one sub-goal – to find crocuses and photograph them. There were a lot of windflowers everywhere but Ira managed to find the crocuses already on the upper plateau – they were small, scraggy and frosty. The clouds ran down into the valley and the beautiful spring sun delighted us during the entire climbing – we even sweated pretty well. By 5 o’clock we have reached the first summit– Angar-Burun. From the summit we had an amazing view on the North and South Dimerzhi. The mountains were floating above the clouds which covered the bottom of the Alushta Valley. After a short rest, we went towards the mountain Eklizi-Burun – in fact it was the highest point of the Chatyr–Dag mountain group – 1527 m. Sasha decided not to smoke during trekking, so his young parasitic organism wanted to eat all the time, what he actively did. By 6 o’clock in the evening we climbed the summit and shot an evidential photo. Ah, what a wonderful sunset was that evening, we didn’t want to go back. But we had to and pretty urgent – the camp was in 4 km and we were still on the peak. For two hours we went in the twilight along the path, which we could see worse and worse. Moreover, we went down along the different path then we climbed up. Thanks to the map which I’ve downloaded into the navigator at the last moment, we could trace the deviation from our route. It was a bit scary to go down in the gills, following the path. But we had no fear, because the mass of Chatyr-Dag behind us, showing black against the starry sky, served as a great landmark and we saw a valley illuminated by night Simferopol ahead. So our camp was to the right. In short, somehow we got to our accommodation – Ira could scarcely drag one foot after the other… Uncomfortable beds with mattresses and pillows really delighted us that night! When we were climbing Chatyr-Dag yet, we thought that we would get up early in the morning and go to shoot a dawn. Ha! We were so tired after night wandering through the plateau, bushes and gullies that we slept in the morning till 8 o’clock. Which dawn? We had more than enough sunset impressions! After breakfast we went towards the Marble Cave – we wanted to have a look at this wonder of nature and also go down to the highway to catch our train. Having emerged from the bowels of the earth and breathed ozone, we went down the path twisting along the power lines to the village Mramornoe. But Sasha and I didn’t like this path and we turned off the next track, made by jeeps, with a hope that it would lead us to a highway faster. That’s great that the project management rules! We considered the contingency reserves, so we had a leeway!!! In short, at first Ira and Sasha joined me but then they changed the mind and traversed the sloughing ground but lower than me, because all the same we had to go down somehow – there wasn’t a path still! In such a way, swearing, joking and stumbling, we have rounded the treed clough and seen some dome-shaped building and a road, twisting along the rocks, behind it. Hooray! This piece of terrible trekking accompanied with trembling knees and attempts not to fall into the clough will end soon! The dome construction building was a guarded object – outfall of the underground river from the rock. The clearest stream of drinking water just flushed from under the earth. The guys like the mountain goats sprang forward and dropped upon the object security from nowhere. The security was surprised and reached out to arms. They told us that there was a sanitary zone and it was prohibited for outsiders to be there. Oh, sanitary! There you are, take it! All the way I collected the plastic bottles scattered by moral morons.- Here, dudes, as a real ecologist I’ve collected garbage from the mountain above the river. The dudes took a bag, put the bottles from my backpack into the bag and told us how to bypass the next post with a more serious guard. They explained us where we had to turn to cross the river and move along the unprotected area. And Ira still trailed along at the back, her strength was oozing away. When she almost reached the domed building, she has seen that we had been already there, talking with the security, and she simply couldn’t get off the last stone. It was slippery, her feet were moving out and she already hadn’t strength to keep her legs. She yelled at full throat, I ran to her but it was too late – under the force of gravity she somehow slipped from this piece of rock. She told me that she didn’t want to see me, smeared the tears of insult and proudly walked down the road. She was followed with two couple of eyes of the security.- Hello! – she said as a decent traveler, and not as some kind of bedraggled girl, got out of the bushes in tears and with a shaky legs.- Where is she going? – the security asked me.- She walks slowly, so she went ahead. We drew some water directly from the river and followed Ira. We caught up with her in time – she was going to move to the road closed for the tourists. Having passed the secret bridge across the river, we met the Simferopol pensioners – gatherers of the spring mushrooms and herbs, who were hurrying to the trolley! Oh, we are going one way! And all together we trotted after them. Everything was fine, but it started a rain which turned into a heavy shower very quickly. We were soaked to the skin, to the shorts and to the shoe strings. The teeth were chattering! Having arrived to the railway station by bus for half an hour before the departure time, we left Sasha to watch our things and change his clothes, and rushed to buy some hot meat, bread and brandy. Naturally it wasn’t a sheep and wine. But it didn’t keep us from giving praise to the gods of the project management! We fell into the train being wet and tired. We changed the clothes, ate and “gave praise”, but what was more important – we have achieved all the stated objectives: we climbed the mountain, found crocuses, stayed well and alive, and we were happy despite everything! Each of us even deserters – Yura and Kolya – took part in summing up our experience. The document Lessons Learned contains the roots of our problems and deviations, reasons in favor of the selection of one or another corrective action, gained in the course of the project. The accumulated knowledge is presented in the form of documents throughout the project life cycle (at least they should be formulated during the last stage of the project) to become the part of the historical database for both this project and future expeditions. Correction of one of the main project objectives – we changed the summit and even the mountain group. Petros was changed for Chatyr-Dag (the Carpathians – for the Crimean Mountains) Extremely high avalanche risk in the Carpathians. The risks raised up to the level which didn’t allow us to meet the most important requirement of our Project Charter – “to return home fine and happy”. We had to choose what restriction would help us to mitigate risk event. 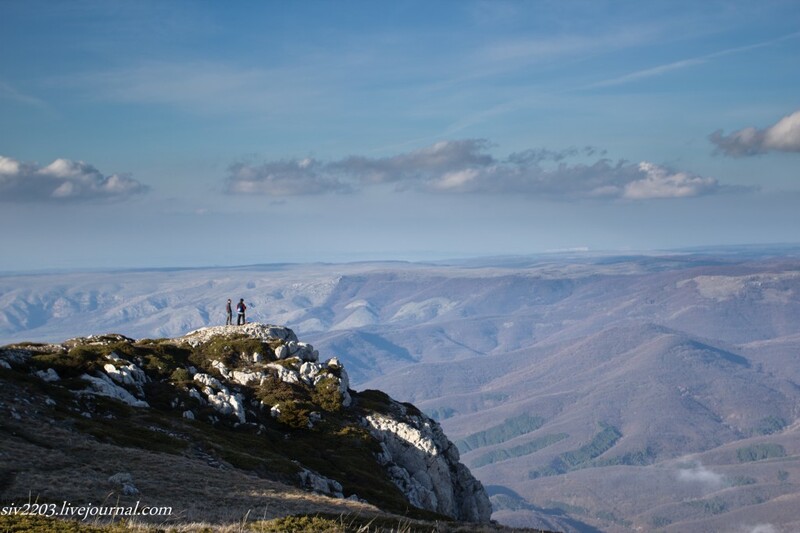 We decided to change the contents and to climb lower and warmer summit – Chatyr-Dag mountain in the Crimea (1527 m). Two participants abandoned the expedition Effect of Social Commitment risk. One member was kept out by his wife, the other one was in short of money, as he told us. Correction of the Procurements Plan Change the direction of the expedition (returning of the already bought tickets and buying the new ones), the revision of the food plan and all necessary personal, group and leased equipment. In general, the financial limit of the project was sustained despite of changes. A sheep was replaced by a chicken and wine – by brandy. Due to the fact that our team lost in the mountains, we hadn’t time to visit a restaurant before train departure. Moreover the team got wet due to heavy rain and no one wanted wine. Everyone wanted brandy! So we’ve bought a grilled chicken and a bottle of brandy and sacrificed all this to the gods of project management by eating into ourselves. If possible, reduce the time for preparation and holding the climbing: This will reduce the possibility to “lose” the team members due to financial, social and health risks. The larger time interval increases the possibility of unforeseen external and internal factors from weather change to change in legislation and team mood. Collect money for expedition immediately after the Kickoff Meeting to exclude abandon from participation in climbing due to “unforeseen financial costs”. Create a single page for a single project, for example in Google, it will be very convenient and will eliminate the resulting mess with accounts and deposits. It’s very important when managing a project team virtually. If you want to take part in the following trainings-expeditions – contact us.